Hopefully this will warm the “cockles of your heart”. 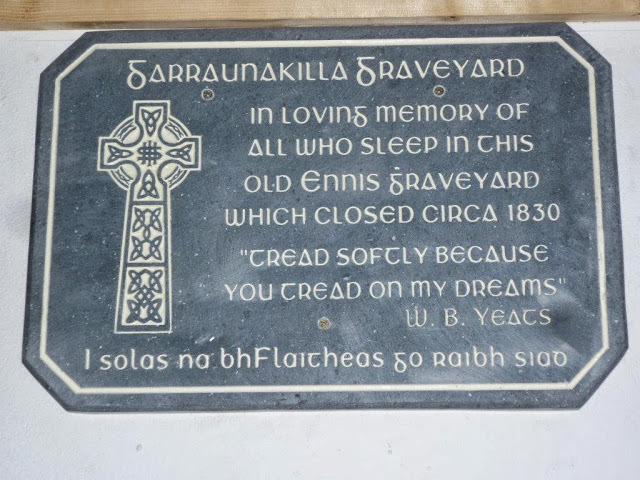 A message has just appeared on the “AS THEY WERE” blog advising that a memorial plaque was unveiled at Garraunakilla, Ennis, Ireland by Mr. Frankie Neylon, Deputy Mayor of Ennis, on Friday the 4th October, to commemorate the burials and past residents associated with the area. 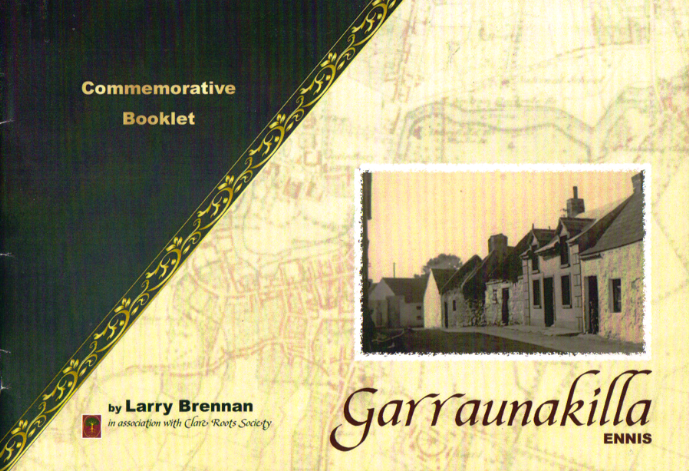 In conjunction with the unveiling, a booklet on Garraunakilla prepared by Clare Roots Society was available for sale. Garraunakilla translates as Garrán na Cille (church grove). Cill has the meaning of Church but also implies a burial ground. 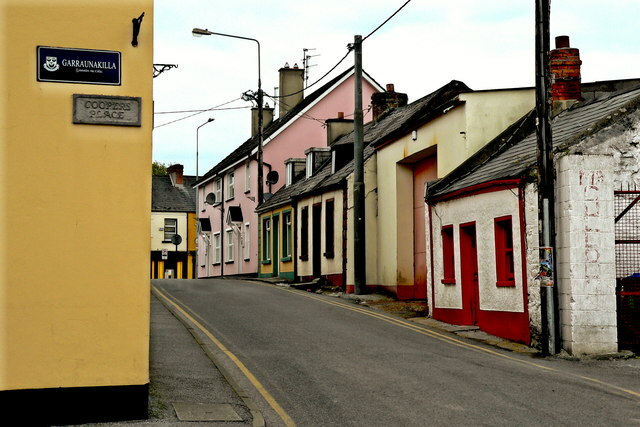 Garrán means a grove or a cluster of trees and could have referred to the visual aspect of the lane prior to the building of the houses which took place circa 1800-1810.The laying down of the laneway dates back to circa 1750; it was one of a series of lanes (Garraunakilla Lane, Corkalley Lane & Fahy’s Lane ) laid out at the time to connect Upper O’ Connell Street with the lower end of Mill Street. Unfortunately the Graveyard’s opening date cannot be identified but closure seems to date back to the Cholera epidemic of 1832. Then the danger of spreading this virulent contagion in the crowded urban centre made it impossible to bury victims in the town cemeteries of Garraunakilla & Corrovorrin. 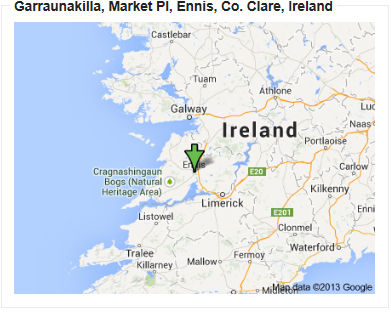 Thus Drumcliff became the principal graveyard for Ennis. The approach employed with the booklet was a flexible one, which allowed optimum exploitation of the relatively small body of available source material. Thank you for the cross links, Catherine…it is a great story, isn’t it… So nice to know that our ancestors are respected by many. No worries Chris… Your “AS WE WERE” blog is full of great info and this story is particularly delightful. Thanks for all you great work in bringing the world of our Ancestors so much closer to us.